While there are a plethora of health issues a Cavalier King Charles Spaniel may encounter. These are the 5 Common Cavalier King Charles Spaniel Health Problems you need to be aware of. As responsible pet owners, we must face the cold hard reality that our beloved canine companion isn’t going to live forever. As much as we’d like to think our little pooch is invincible, it’s predetermined that we will all have to deal with health concerns the older they become. 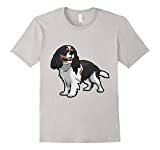 The Cavalier King Charles Spaniel is no exception to the rules. In fact, all examples of the breed have a high possibility of being effected by these common health problems. Prior to bringing home your new Cavalier, it’s best we understand these health concerns now so you are aware of symptoms and treatments available as health issues manifest. Let’s review the top 5 common Cavalier King Charles Spaniel health problems and optional treatments. It’s recommended that if your Cavalier ever displays symptoms to take them to your trusted local vet for a complete analysis as this symptoms could be related to something entirely different. This is a very common genetic disease found in Cavalier King Charles Spaniels. Selecting a good breeder will go a long way in avoiding this problem. While human and canine hearts are different. Mitral Valve Disease is actually a health problem found in both. Atria are small upper chambers of the heart which push blood down into the ventricle which is the lower chamber of the heart.The Mitral Valve is what seperates the upper and lower left chamber of the heart.With a healthy heart, the Mitral Valve opens and allows blood to flow from the atrium into the ventricle. It then closes to form a seal. In an unhealthy heart problems with the Mitral Valve can cause it not to close. This allows blood to flow back into the atrium. This adds strain to the atrium and thus makes it much less efficient at pumping blood. This is what causes the heart to murmur. While ultimately this is what will lead to death from the disease. There are cases where Cavalier King Charles Spaniels have continued to live far past their average lifespan whilst this symptom worsens. While it is not possible to cure Mitral Valve Heart Disease. There are drugs and treatments available that can help alleviate some of the symptoms depending on it’s current stage. This is a very serious condition whereby the dogs spinal cord cavities near the brain become filled with fluid. Cavalier King Charles Spaniels have a fairly small skull which may not be able to accommodate the brains cerebellum. This causes it to squeeze through a hole at the back of the dogs skull. This can block and therefore cause obstruction to the flow of Cerebrospinal fluid down the spinal cord. This then leads to the build up of fluid in the cavities and causes Syringomyelia. This is commonly referred to as the neck scratcher’s disease due to the primary symptom. Symptoms of Syringomyelia generally won’t show until a Cavalier King Charles Spaniel is at least 6-12 months of age. Making it impossible to identify when purchasing a puppy. The disease can only be diagnosed through an MRI scan. Actual treatment is very limited. Steroid drugs can be used to alleviate the issues however they will not cure the disease. Obesity in dogs can be just as dangerous as it can for humans. Not only will it affect the overall well being of your Cavalier King Charles Spaniel, obesity can also lead to additional health problems. We’ve mentioned heart problems, in fact it’s #1 on this list for a reason, as they are extremely common. An overweight Spaniel will be placing additional strain on their entire body with every movement they make. This additional strain will have a negative effect on the heart as it increases it’s workload pumping blood around the body. Excess fat will also add pressure on the internal organs and cause decreased blood circulation to the lungs. The symptoms with obesity tend to be fairly obvious. A plump pup. While not a particularly energetic breed. All dogs require exercise in order to remain a healthy weight. If your Cavalier King Charles Spaniel becomes obese, this additional weight can also cause unnecessary strain on their joints and bones. This can cause them to become lethargic, reduce their overall energy levels and further exasperate their obesity levels. Obesity is somewhat different in the way that it is treated. Lifestyle and diet play a much more important role than medication and treatment. It is recommended you walk your Cavalier King Charles Spaniel at least twice daily. By ensuring you feed your dog a nutritional and balanced diet you can make a huge impact on their obesity level. A good quality dog food is always recommended. As are appropriate portion sizes. Please always check the food labels to ensure you aren’t over feeding your dog. Carefully consider neutering. There are many benefits to neutering your pet. In fact, some breeders and almost all animal shelters and charities will require you to neuter your Cavalier King Charles Spaniel. However it is common for a dog to put on increased weight after this procedure. This is another inherited genetic disease. It causes the dogs hip to develop abnormally. This can lead to severe discomfort and produce arthritis which can be very uncomfortable for your Cavalier King Charles Spaniel. This is a very common health problem in Cavaliers. In fact it is estimated to effect 12.4 – 25% of the breed. You may notice your dogs rear legs move unevenly. Often one leg will appear raised. The only way to accurately diagnose Hip Dysplasia is via an X-Ray. Treatment would primarily be medication to reduce pain. In severe cases an operation can be performed to replace the hip. An alternative procedure called a oxofemoral hemi-arthroplasty to inplant a cap over the femur and pelvis is also available. Yet another genetic disorder is Keratitis Sicca. Which is a very dry eye inflammation of the cornea and conjunctiva. 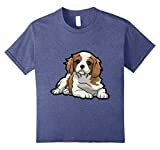 The dryness in the eye will cause your Cavalier King Charles Spaniel great discomfort. Your dog may feel a burning in their eyes. Ultimately if the problem persists it can lead to scarring of the cornea which can lead to blindness. You should treat this condition as quickly as possible. As mentioned prolonged dry eye can lead to blindness. A topical antibiotic or anti inflammatory aimed at increasing tear drop production can help cure the problem. The above 5 Common Cavalier King Charles Spaniel Health Problems are not only upsetting. Health problems can be very uncomfortable for your cherished four legged companion, not to mention extremely expensive to take care of. It is for that reason we always recommend taking out dog healthcare insurance. While it may seem costly, it can save you a lot of money in the event of a serious illness or injury to your beloved Cavalier King Charles Spaniel. My mum’s king Charles back legs have gone from under her she more likes Drags herself about. Is the dog in pain an will she need to b put down. Tank u. It sounds like your mum needs to take her Cav to the vet to be checked out. Does she have pet insurance? My dog just started doing the same thing all of a sudden. She is 8 years old. We can’t figure it out and it is heartbreaking.